Facebook prank postings by High school students in the Philippines end up barring them from graduation rites. 2 incidents of high school graduating students where 5 boys posting prank kissing in the public and girls in a bikini with drinks and cigarettes fight to march the graduation rite. The public official parents of the girls came dressed in formal attire and barong Tagalog while their daughters wore their school uniforms. But the 3 p.m. graduation rites of St. Theresa's College high school went on without them, leaving a sad but calm group of families at the front gate of the campus on General Maxilom Avenue, Cebu City. Security guards refused to open the gate, seeing they had no admission passes or invitations issued by the school administration. "Inhuman, animal and cruel," exclaimed one of the mothers. A few other parents muttered complaints. Two of the girls cried. After a few minutes of waiting, with verbal pleas to the guards to heed a Temporary Restraining Order (TRO) issued by the Regional Trial Court directing the school to let two of the students march with their classmates for graduation, the group quietly walked away. "The court was disrespected," said Cornelio Mercado, counsel of four of five girls being punished by STC for photos posted in a Facebook account showing the students in bikinis and engaging in what the school called "lewd" and "immoral" behavior. Enrique Lacerna, the lawyer for one of the students, said he was informed by his client they were barred from entering the venue of the graduation rites. "Sinabi ng kliyente ko, they were barred (from) entering the premises lalo na to join the commencement exercises (My client said they were barred from entering the premises, much less join the graduation rites)," he said in an interview on dzBB radio Friday afternoon. The school earlier banned the students from joining the graduation rites, supposedly over the posting of inappropriate photos on Facebook. Lacerna hinted he is considering asking the court to cite the school in contempt for defying the order. On Thursday (March 29, 2012), Judge Wilfredo Navarro issued a temporary restraining order to stop the school from enforcing its sanction, effectively allowing the two to attend their graduation rites. But Lacerna cited information reaching him that the school filed a motion for reconsideration Friday morning. He claimed he was not furnished a copy of the supposed motion. "Walang schedule, ang alam ko ang judge sa Lapu-Lapu (There was no hearing scheduled for that motion for reconsideration. And as far as I know, the judge was supposed to be in Lapu-Lapu City today)," he said. For now, he said there is nothing to be done to allow the girls to attend their graduation rites. But he voiced disappointment with the school, which he said claimed last Thursday it will respect the decision of the court. Justice system in the Philippines is still struggling for flaws in the implementation of laws as usual court orders are influenced by impartiality in favor to the more influenced families and preyed the poor. Institutions in the Philippines defying court orders if its shows deficiency hinting the country's constitution needs transitions and fixing flaws. The defiance of the court order shows also that the leadership of the sitting justice remains questionable to the majority Filipinos. St. Theresa's College is a private Catholic school authorized to instill discipline among students under Department of Education (DepEd) Order No. 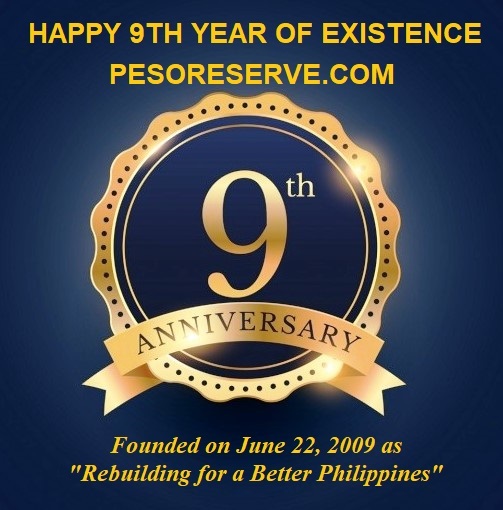 88 series of 2010—also known as the Revised Manual of Regulations for Private Schools in Basic Education. But Section 155 of the same DepEd order guarantees every student the right to be formally apprised of any complaint against her, to be heard by herself and her counsel, to present evidence for her defense, and to appeal the decision on her case to proper authorities. Although Section 131 of the Revised Manual gives the administration of each private school the responsibility to maintain good discipline among students, such disciplinary authority is limited to students' behavior inside the school campus or outside school premises but only as regards authorized school activities that the students are engaged in. On the other hand a separate case for the 6 graduating High School boys in the Infant Jesus Academy Manila posting prank in facebook also barred from the graduation rites. 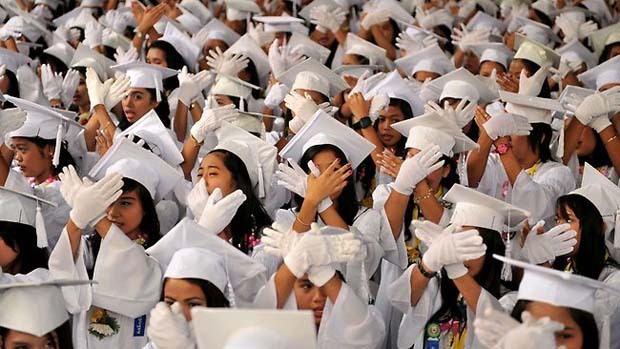 About 600 kilometers from a Catholic learning institution in Cebu City where five graduating girls are embroiled in a "bikini photo" controversy, six senior high school boys from the Infant Jesus Academy in Marikina City were not allowed to march on stage, too, and get their diplomas. This after the teenage boys, still in school uniform, simulated a kiss in public on Monday and posted photos of their naughty prank on social networking site Facebook. On Thursday, the boys accompanied by their parents went to Radyo Inquirer to seek the help of the AM station's "Isumbong Mo Kay Tulfo" program. They said that as a punitive action, the school will not let them join Friday's commencement exercises. And even as they will be officially recognized as graduates, they cannot take their diplomas yet, one of the parents told INQUIRER.net. The parent also quoted Infant Jesus Academy chancellor Peter Mallonga as saying the school diploma is "sacred." "For them, the school diploma is sacred. They will give it to the students as the punishment will not be for life. But it will take two years, three years, four years, even eight years," she claimed. "The officials said they (boys) are not deserving as of the moment to receive their diplomas," she quoted school officials as saying. The boys, aged between 16 and 17, will be given certification by the school, however, to allow them to enroll in universities, even without their diplomas. School officials said the students have violated a guideline of the institution, banning "any conduct inside or outside the campus which brings the student, his/her family and the school in disrepute." The photos, for the officials, were "damaging" to the reputation of the Catholic institution. But one of the students said it was only a camera trick and done for fun's sake. "We tried to explain that those were just camera tricks, but they did not listen to us," one of the students said. 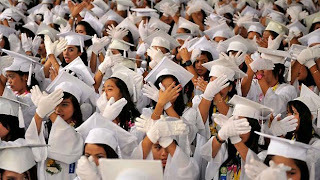 In Cebu City, two graduating girls had broken a school rule at Saint Theresa's College, which bans posting Internet pictures that show "ample body exposure", and barred the student from their graduation ceremony. The girl's family on Tuesday filed a civil suit at a Cebu Regional Trial Court, which on Friday reprimanded the school for the harsh punishment and ordered the Catholic institution to let the girls take their diplomas on stage. The Philippines is about 80-percent Catholic and the church is hugely influential, regularly campaigning against divorce and birth control.